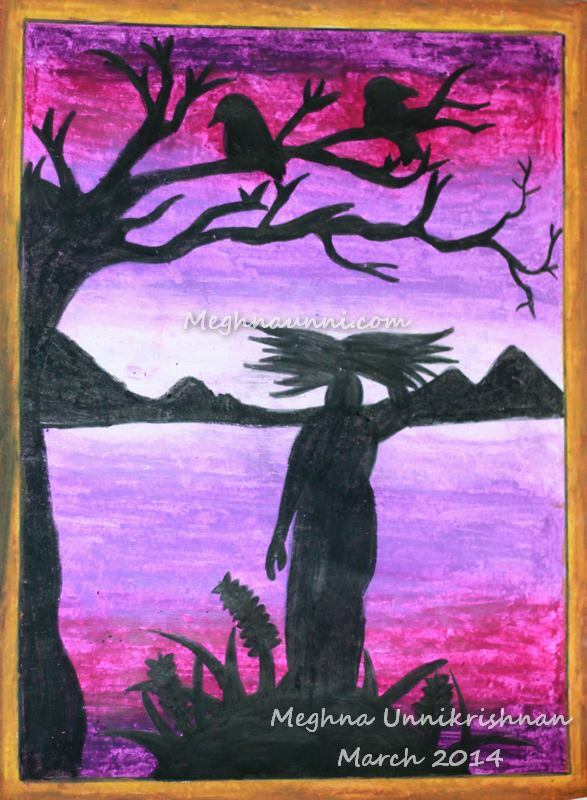 Lady with Hay on her head painting done by me in a violet tone. I have seen such a painting earlier, so thought of recreating it in my favourite colours Pink and violet. Had displayed it at my school parents review day art gallery. Done in a hurry, so did not come well as I expected.